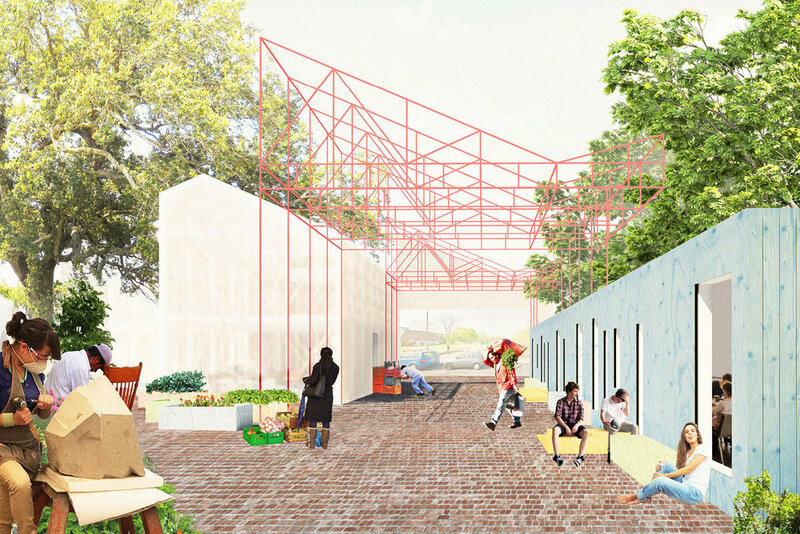 alma-nac were invited by Lambeth Council and Meanwhile Space to prepare a proposal for a series of workspaces, hub work areas and community kitchen along with an urban farm for a currently under utilised site in Loughborough Junction, London. Our proposal focussed on the creation of a central ‘street’ provides a space for informal gatherings and encourages interaction between the building users. As a community grassroots project, the Loughborough Works offered an interesting and important alternative approach to participatory design – one that affords end users a large degree of agency in the creation of their own places.